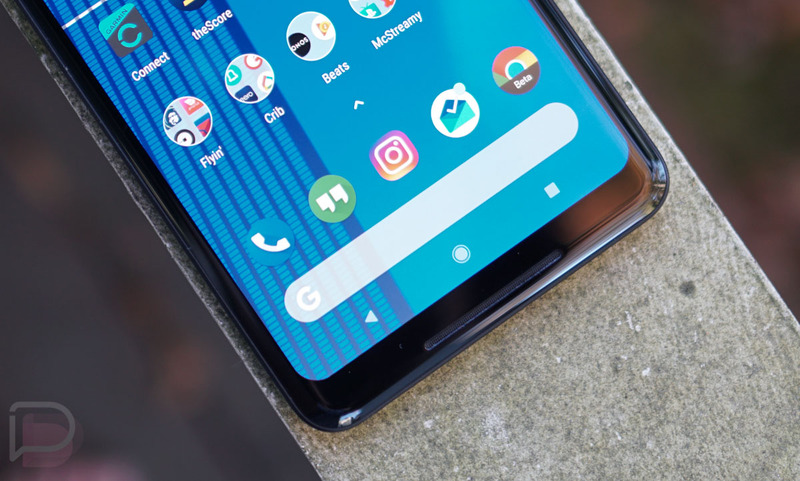 Google’s Mario Queiroz just weighed-in on the Pixel 2 XL’s display drama, assuring customers that not only do their tests show that the 2 XL’s POLED display is “in line” with other premium phones, but he also announced that Google is pushing the phone’s warranty to 2 years and plans to issue additional software updates to combat potential burn-in going forward. Seang Chau, Google’s VP of engineering, added more info to the story by talking about the Pixel 2 XL’s color profile, color management in Android 8.0, and offered up specifics on how they might actually defeat differential aging or image retention. The color management and dirty details of the Pixel 2 XL’s POLED display are not exactly my expertise, so while I’ll try to recap the points Chau made, be sure to hit that source link below for the full write-up. In essence, what Google has done is tune the Pixel 2 XL’s display to sRGB +10% and calibrated it to a D67 white point. That’s a fancy way of saying that the display is indeed tuned to the cooler side of white, while also expanding the colors in all directions by 10% to show slightly more vibrant than sRGB. The point, which we talked about the other day, thanks to a reddit user who explained it brilliantly, was to not only go with a more natural look, but also allow developers and UI designers the opportunity to have more control of how colors are rendered in their apps. Google says that this approach, while not quite as vivid or vibrant as you might be used to, is more accurate than a display that has that extra bit of “pop,” since that’s more a color stretch than an accurate color profile. Still, they listened to the complaints and will offer up a “saturated” color mode through a future software update. This mode will place the display in an “unmanaged configuration” just like the original Pixel’s. In other words, you’ll get the vibrance you wanted, but it won’t be as accurate. In the differential aging or burn-in department, we’ve already talked about how Google’s investigation shows that the phone is “in line” with other premium phones. I know that some will question that, but that’s what Google is telling us and so that’s what we have to go on. As for how they’ll combat this issue going forward, Google has some nifty ideas. For one, Google is testing a software update that lets the navigation bar fade-out after a short period of inactivity. Since that’s the area that people are seeing supposed burn-in or image retention, that actually sounds like a decent idea. Second, Chau says that Google is working with more apps to use a light nav bar that matches their app’s color scheme. And finally, they plan to reduce the display’s max brightness by a “virtually imperceptible” 50 cd/m2. I can’t say that I love that idea, unless I really won’t be able to notice and the benefits are as big as is explained in Chau’s post. Thoughts? Satisfied or do you need more from Google?